Maintaining rail network infrastructure reduces the need for unscheduled service work that can slow down the BNSF rail network and reduce capacity. BNSF Railway Company (BNSF) announced Feb. 22 that its 2019 capital expenditure program in Washington will be approximately $175 million. Much of this year's capital plan in the state will be for replacing and upgrading rail, rail ties and ballast, which are the main components for the tracks on which BNSF trains operate. Maintaining rail network infrastructure reduces the need for unscheduled service work that can slow down the BNSF rail network and reduce capacity. Over the past five years, BNSF has invested approximately $1 billion to expand and maintain its network in Washington. This year, the maintenance program in Washington includes approximately 820 mi. of track surfacing and/or undercutting work as well as the replacement of about 50 mi. of rail and close to 130,000 ties. "Whether it's moving agricultural products to West Coast ports for exports or lumber from the Pacific Northwest to support construction domestically, Washington is an integral part of the BNSF rail network," explained Jon Gabriel, general manager of operations, Northwest Division. "By investing in our rail network, we can continue to provide safe, efficient, reliable and environmentally conscious transportation to the benefit of everyone in the state." In addition to maintenance projects, BNSF plans to install approximately 2 mi. of new double-track along the Fallbridge Subdivision near Wishram. The 2019 planned capital investments in the state are part of BNSF's $3.57 billion network-wide capital expenditure program announced earlier this month. These investments include roughly $2.47 billion to replace and maintain core network and related assets, approximately $760 million on expansion and efficiency projects and about $340 million for freight cars and other equipment acquisitions. 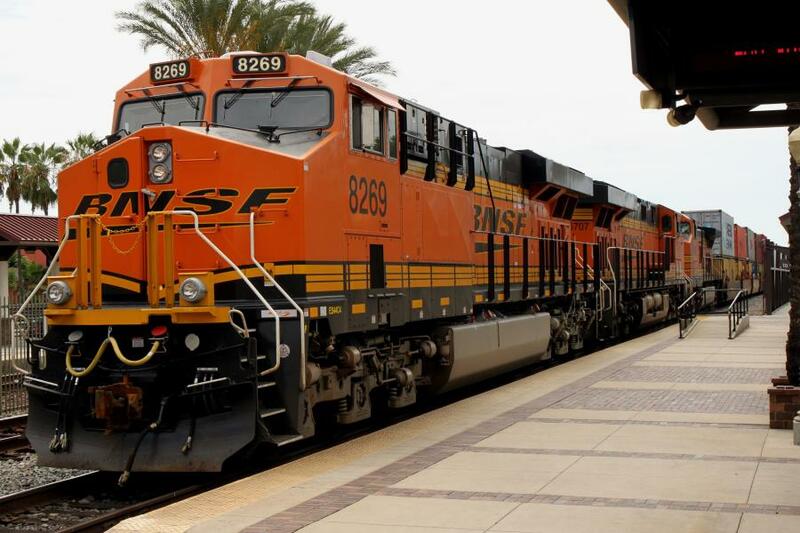 BNSF Railway is one of North America's leading freight transportation companies. BNSF operates approximately 32,500 route mi. of track in 28 states and also operates in three Canadian provinces. BNSF is one of the top transporters of consumer goods, grain and agricultural products, low-sulfur coal, and industrial goods such as petroleum, chemicals, housing materials, food and beverages. BNSF's shipments help feed, clothe, supply, and power American homes and businesses every day. BNSF and its employees have developed one of the most technologically advanced, and efficient railroads in the industry. The company works continuously to improve the value of the safety, service, energy and environmental benefits provided to customers and the communities served. For more information, visit bnsf.com.